It’s that time of year again: the SXSW Panel Picker is live and the session I look forward to presenting is called “The New Breed of Brands That Will Lead the Future.” With companies of all types facing a perfect storm of social crises, social technologies and customer activism, this session will come at the perfect time- so please take a few seconds to cast your vote! How quickly your company responds to these new societal and market challenges will determine whether you survive or lead the future. These challenges represent an enormous opportunity for brands willing to embrace new customer expectations, greater social responsibility, and scalable citizen and customer engagement platforms. This proposed SXSW presentation will reveal the essential attributes of brands that will shape and lead the future and how they architect self-sustaining customer communities that will build their business with them. It will also show you what it takes to be a leading brand in a mutually dependent and intimately connected global community. How do I define my brand and frame its story in a way that inspires employees and customers to build the business with me? Too often brands rush past the Story to the Telling, only to find that they cannot generate employee or customer engagement wasting their marketing efforts. How do we explain how our sustainability, community giving and Foundation efforts work together in a way that makes sense to our customers? Without this, many companies simply broadcast their schizophrenia. If your marketing and sustainability efforts remain siloed on the basis of outdated organizational, budget, and marketing practices, you continue to run the risk of failing to meet marketplace, business, and customer demands that are the key to your survival. How do I protect my brand against the rising tide of consumer activism? Today’s customers are becoming more aggressive and sophisticated in their attack on brands. 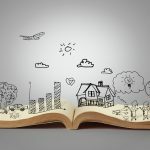 How to authentically integrate your brand story within your company to withstand the new demands of radical transparency. Without this, those very same brands ambassadors can become vocal critics of your company accusing you of cause-washing. How do you architect a self-sustaining customer community that uses its own social and mobile channels to ampifly your brand story? Without this you will never have the reputation or social impact your deserve. If you’re interested in learning more, please cast your vote in the SXSW Panel Picker. For hands-on training from some of the best marketers in the world including leaders from Starbucks, Coca-Cola, the UN Foundation, and charity: water, join us at the 2013 We First Social Branding Seminar, Sept 24-25 in Los Angeles. 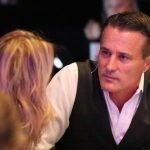 Simon Mainwaring is the CEO & Founder of We First, and New York Times bestselling author, influential blogger and international keynote speaker.